perfect wedding feature and happy 2014! 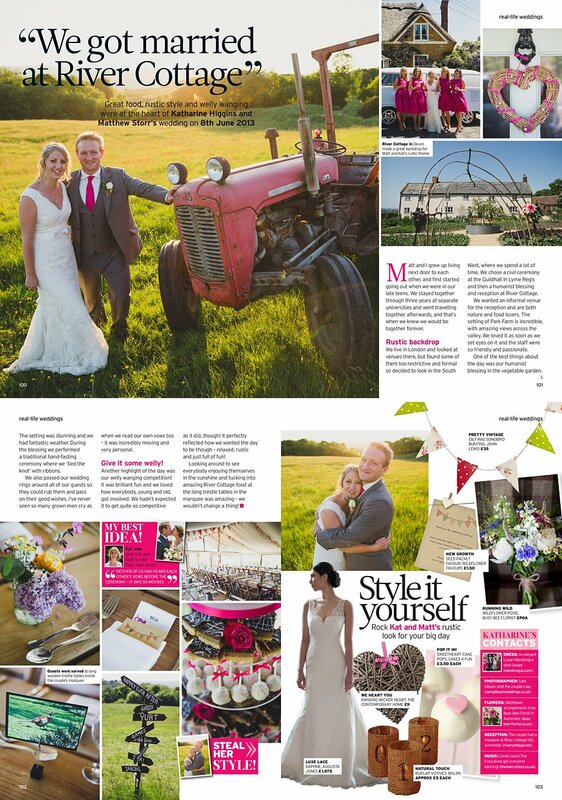 Home/Press, river cottage/perfect wedding feature and happy 2014! Hey lovely blog visitors, just wanted to wish you all a very Happy New Year! Hope everyone has had a great christmas and is looking forward to the year to come, I know I am! I’ve had a busy start to the month with lots of venue visits and meetings and I just wanted to quickly share this magazine feature that’s out this month in Perfect Wedding magazine. It features some highlights from Katharine and Matt’s awesome summer wedding at River Cottage down in Dorset. Or is it Devon… I’m never quite sure and I’ve been there a lot. Anyway, it’s down in that direction! They had a fantastic day, with a ceremony at Lyme Regis Registry office, a quick stroll along the sea front for some portraits and then onwards to Park Farm, aka River Cottage HQ, for a lovely humanist ceremony in front of all their guests, followed by welly wanging (obviously), scrumptious food (obviously) and a lot of laughter and dancing… (obviously). Here’s the magazine feature squished down a little to fit on my site – but the issues’s out now in all good newsagents. Congrats again Kat ‘n’ Matt, and I hope everyone has a fantastic 2014.